If, like myself, you are addicted to the joy of giving at Christmas you will find just about any excuse to buy the perfect present for every member of your family. There is not a single aspect about the gifting process – whether it is giving or receiving, wrapping or unwrapping – that I do not love. Even looking at the neatly stacked gifts under the tree gives me a shiver of excitement. For pet lovers, Christmas is yet another excuse to spoil those furry little creatures that give their cuddles freely and can put a smile on even the grumpiest of faces. 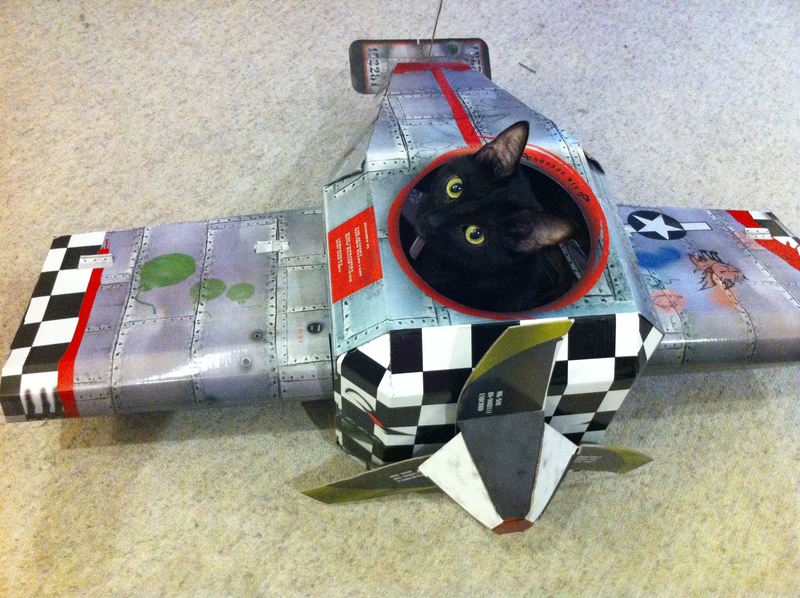 One of the best gifts that I have found to date for cats is the cat play house from iwantoneofthose.com (http://www.iwantoneofthose.com/gifts/gifts/pet-gifts.list) For £14.99 you can order a plane, tank, Cadillac or fire engine, and the concept is a flat pack cardboard set that you can then slot together to build the play house for your cat (I presume the idea was borne from the fact that cats love jumping into cardboard empty boxes) Upon arrival, I was very surprised at how large (though flat) the box was, the whole set comprised of under 10 pieces, which is quite handy if you do not like the ‘fiddly bits’. 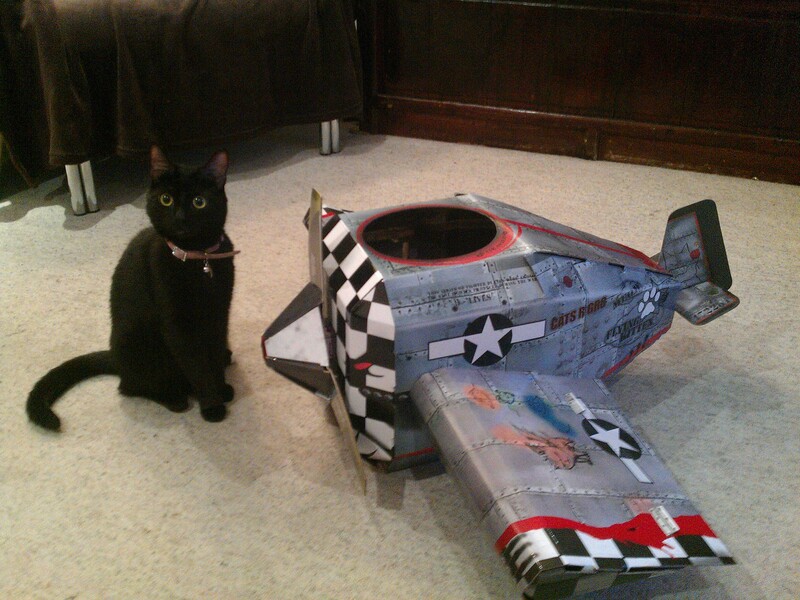 It did take me about 20mins to put together, as my cat Cleo was already intrigued and tried to lend a helping paw. This in itself was a rather fun activity! 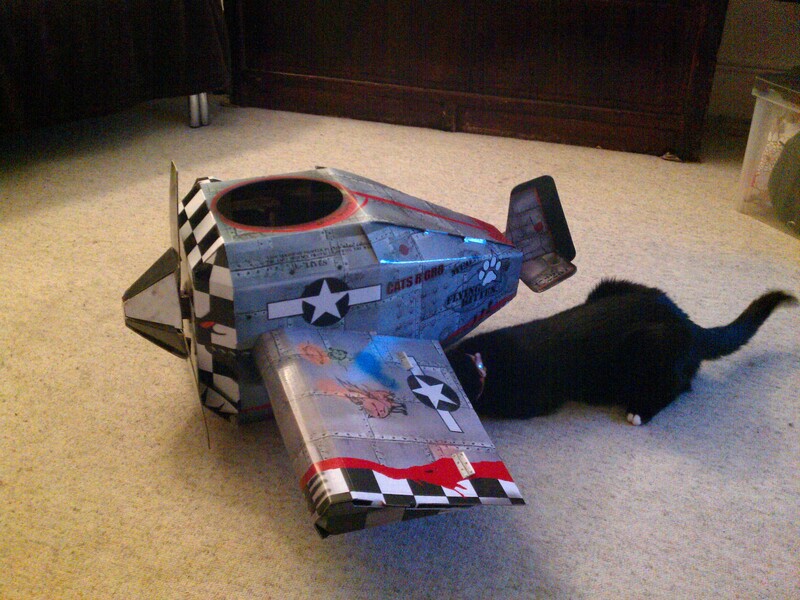 After building the plane, it did take me a while to coax Cleo in. As it has a hole in the bottom (which isnt really very accessible) and a hole in the top it did feel like the wings got in the way a little. In this sense I think Cleo, being quite a curvaceous cat, would have been better suited to the Cadillac or fire truck. That said after throwing a few treats in there she quickly overcame her fears and was jumping in and out happily. 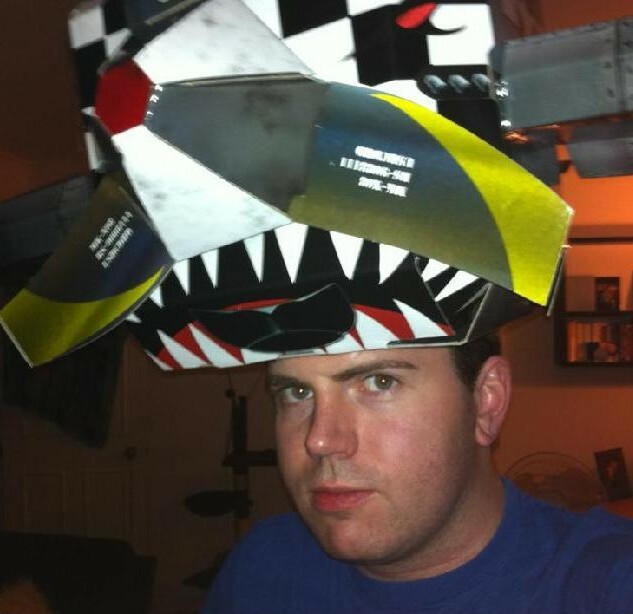 As an added extra, I am told by my partner that it also makes a great hat…. Upside down it makes an excellent hat.